Comments: This is the straight species as it appears in it's native habitat. From it has come thousands of named cultivars gracing landscapes throughout the world. 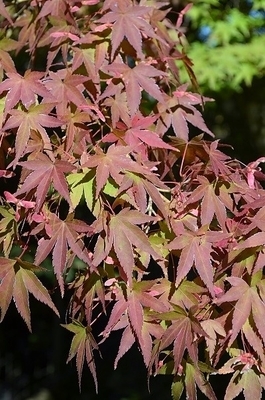 Small, palmate leaves are green, some with a red overlay, throughout the growing season. In fall colors range from yellow to red.